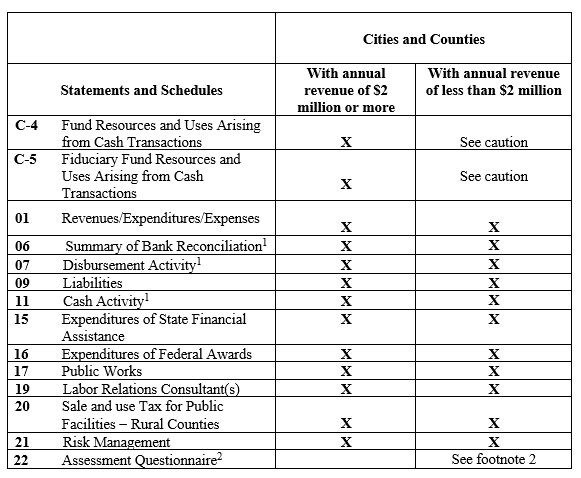 1.1.6.10 The chart of accounts and procedures contained in this manual are the minimum reporting requirements that must be used by all cash basis counties and cities and other local governments as prescribed by the State Auditor’s Office (RCW 43.09.200). 1.1.6.20 The uniform system of accounts is best applied consistently throughout the budgeting, accounting, and reporting cycles. 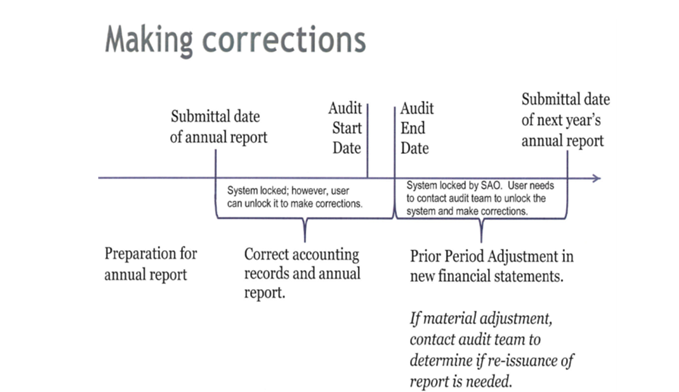 However, it is permissible to use a different system of numbers for internal accounting, so long as equivalent detail is maintained for reporting purposes. The prescribed chart of accounts must be used for detail reporting of revenues and expenditures. 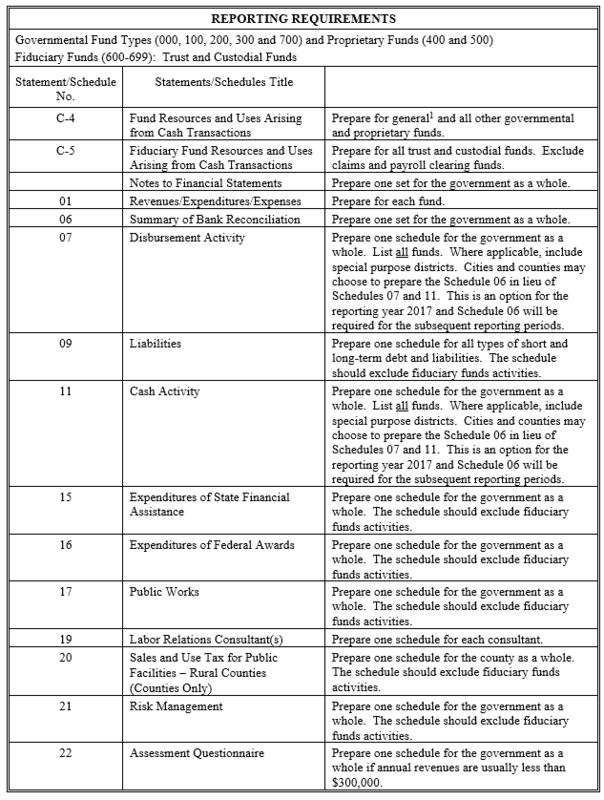 1.1.6.40 Local governments using cash basis should follow single-entry accounting and cash basis reporting procedures which do not reflect financial condition and results of operations in conformity with GAAP. Single-entry accounting, as permitted in this manual, requires full compliance with all legal requirements. Generally Accepted Accounting Principles (GAAP). Uniform minimum standards and guidelines for financial accounting and reporting. They govern the form and content of the financial statements of the entity. GAAP encompasses the conventions, rules and procedures necessary to define accepted accounting practice at a particular time. They include not only broad guidelines of general application, but also detailed practices and procedures. GAAP provides a standard by which to measure financial presentation. 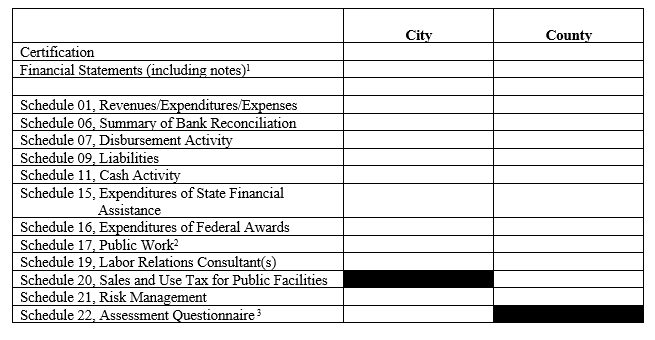 The primary authoritative body on the application of GAAP to state and local governments is the Governmental Accounting Standards Board (GASB).